Apple season is here! I have been wanting to make something “apple-y” for a couple of weeks now since varieties have been arriving at the farmers market. There is so much to make with apples for breakfast, sweet, and savory AND these apple pie spiced cupcakes and teacakes (!) that I started thinking about piling a wheelbarrow full of apples into my trunk and all its’ apple baking glory (channeling Laura Ingels from Little House on the Prarie but without the car, of course, give me a minute). So before I went into the gym I searched Google for U-Pick Apple Orchards near me. I got this hankering for apple picking and how fun it would be. The idea of crisp autumn air, hay rides, hot apple cider. Well, as crisp autumn air as can be when living in southern California, with leaves that remain green pretty much – BUT I’m not complaining – it excited me. And the smell of apple spice throughout the house, you know that smell, it’s magic. So, my search came up: Oak Glen, CA … where all the apple picking magic happens – it didn’t really say that more like a metaphor dancing in my head -is 127 miles away. One hundred twenty-seven miles away. ONE WAY. 254 miles round trip? My short-lived dream to give my boys (and me!) a farm-like apple-picking experience came and went but the apples at the market have never looked better. 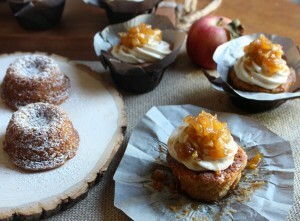 Seriously, they were crisp and sweet so I bought a bunch and plowed on to these little dreamy apple spice things. 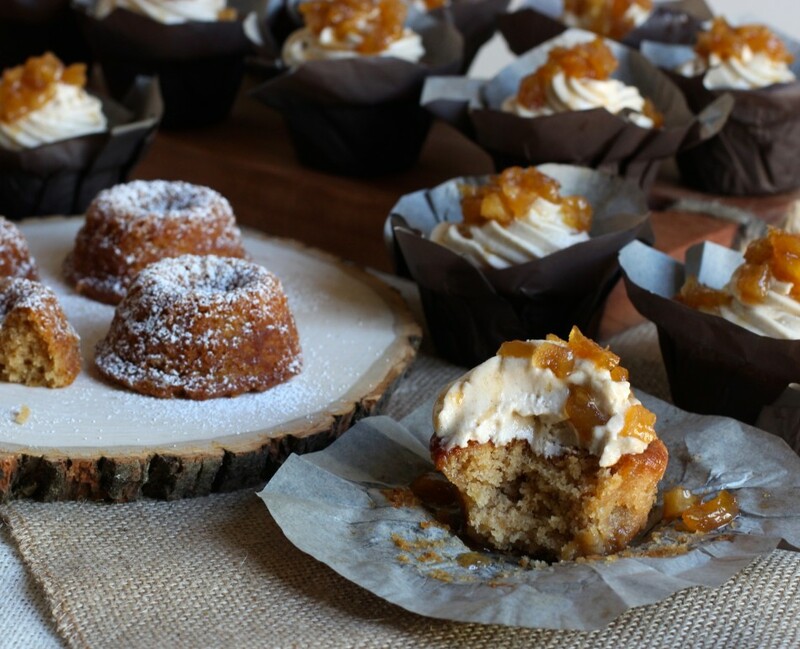 I even went as far as making homemade applesauce that I added in these delicious apple treats for us. Will share my super easy recipe soon. I went ahead with an adapted version of the apple spice cake from Martha Stewart’s Baking Handbook Cookbook. She makes it a three-layer, six-inch cake with a yogurt frosting that looks heavenly, but not very allergen-free, you know. I didn’t feel like buying three 6-inch pans (and to find them aluminum free on top of it because I’m a stickler for not using aluminum when possible). With the Momofuku birthday cake, I cut out a 6-inch round and used leftover cake for the crumb topping so there wasn’t any waste. 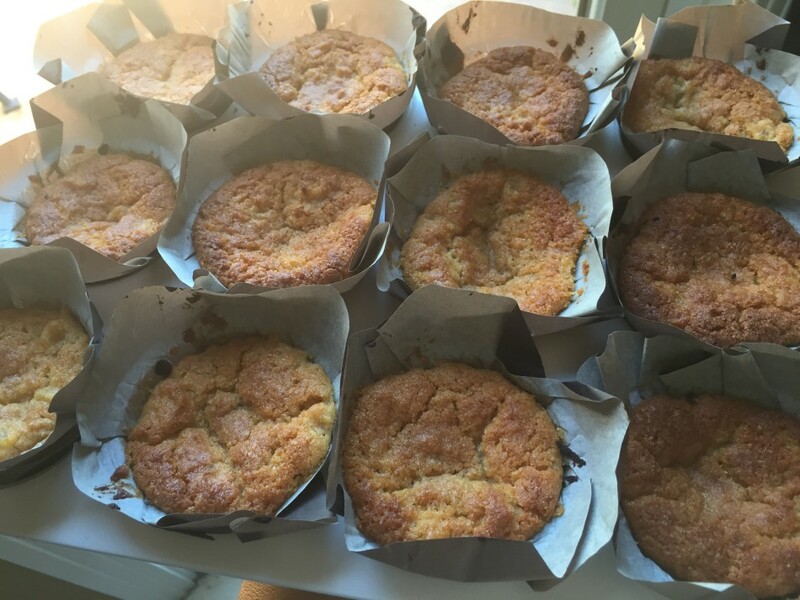 Twenty-four cupcakes are too many even for my household of six when not for a party, so I thought little teacakes, simple and packable as school snack and as coffee dunkers. 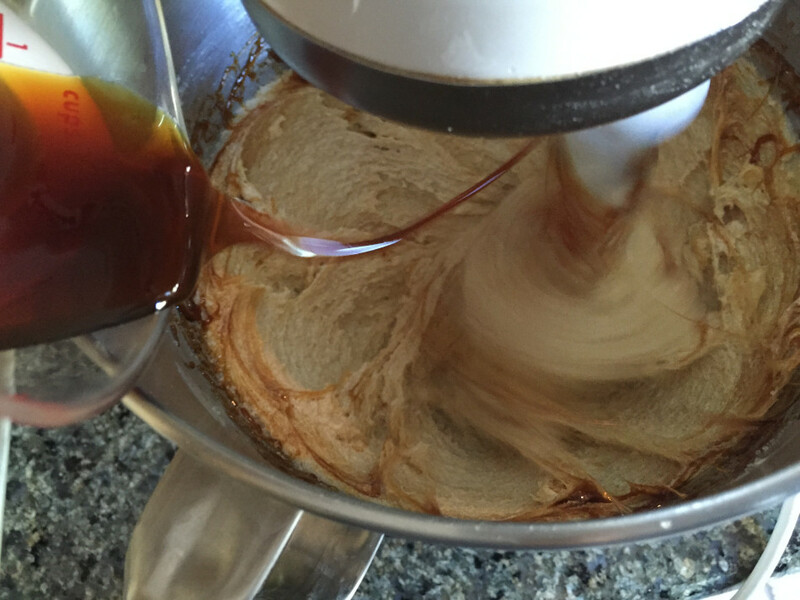 The best coffee dunkers my friends, if you are looking for a good coffee dunker. I’m glad I went with half as teacakes because the kids were thrilled to find them in their lunch containers. Less messy too! Yes, I know, not the healthiest way to start the day but it’s Friday. Don’t tell my kids I said that. And this made my Friday morning rock. Keep in mind, apples are one of the most sprayed produce so if you can buy organic. Please. I know we all don’t have farmer’s markets with baskets of organic apples nearby (if only right?) but there are many stores now that carry organic … Trader Joe’s, supermarkets, etc. are now carrying more and more varieties. 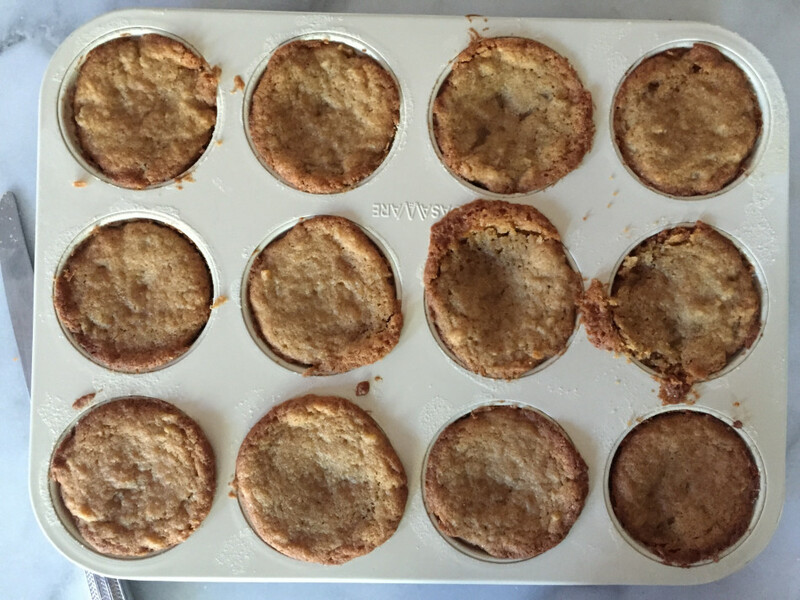 While frosting the cupcakes I thought this smells so much like apple pie … some apple pie filling on top. We need apple pie filling on top. 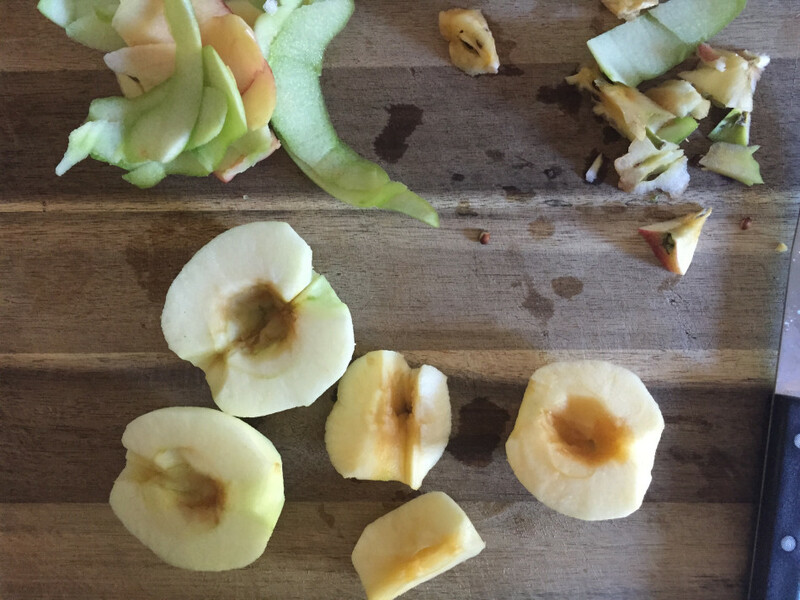 Little diced pieces of apple … I started to visualize big slices of apple pie filling on top and laughed out loud. Imagine biting into that. 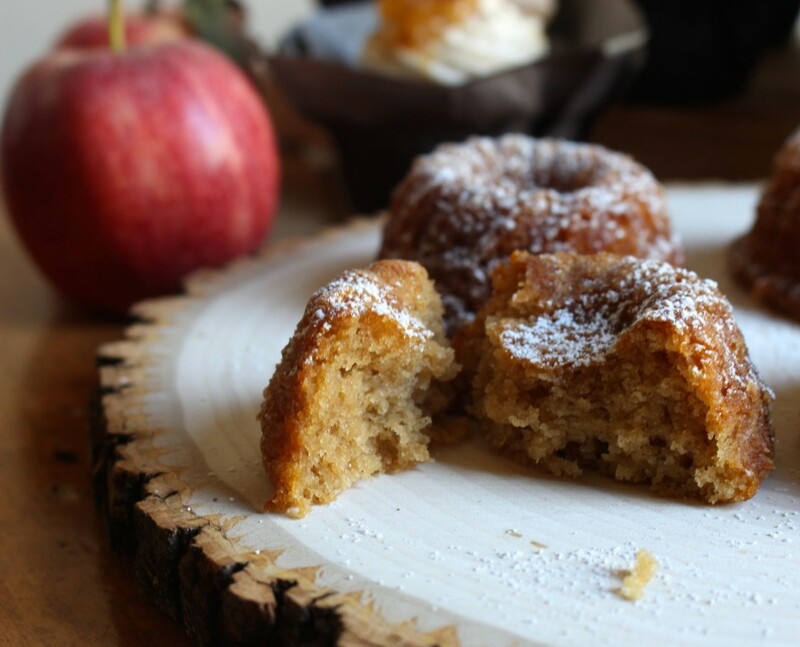 The caramelized apples have just enough bite to them for texture and apple pie flavor without being chewy. And I must tell you there is absolutely no chickpea flavor in here despite the amount used and now one of my favorite egg substitutes. Currently testing it in brownies, fingers crossed. Between the chickpea liquid and applesauce (and all the “butter” no doubt) the cake yielded moist, light results. Martha? Where are you? You have to try this, it’s gluten, dairy, and egg free and freaking delicious! In goes coconut nectar, it tastes like a cross between maple syrup and vanilla. So rich and so good. You can also use agave nectar or maple syrup. Then the applesauce. I made some homemade applesauce that I used here. If using store-bought, the chunky kind is best. 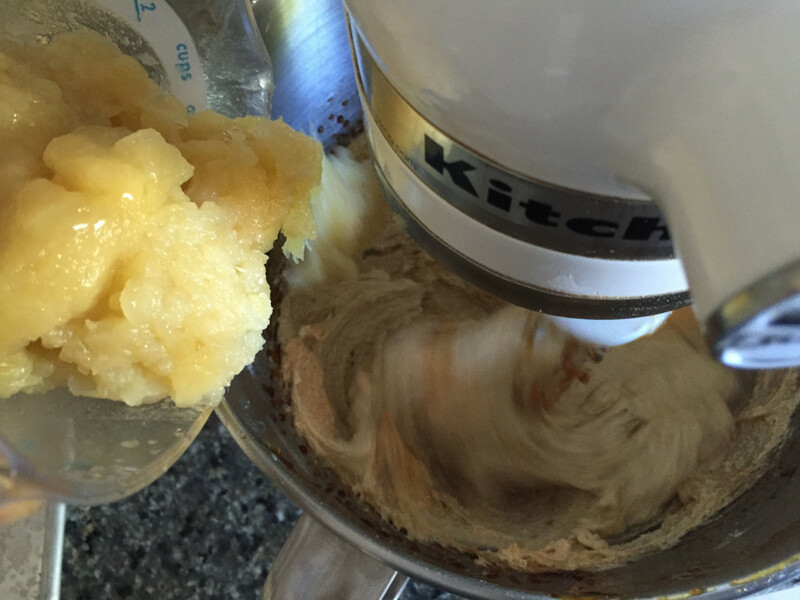 Now for the canned chickpea liquid (also known as aquafaba) … Who knew! You see here how it looks curdled? That’s totally fine; those chunks are bits of apples in the applesauce for texture. 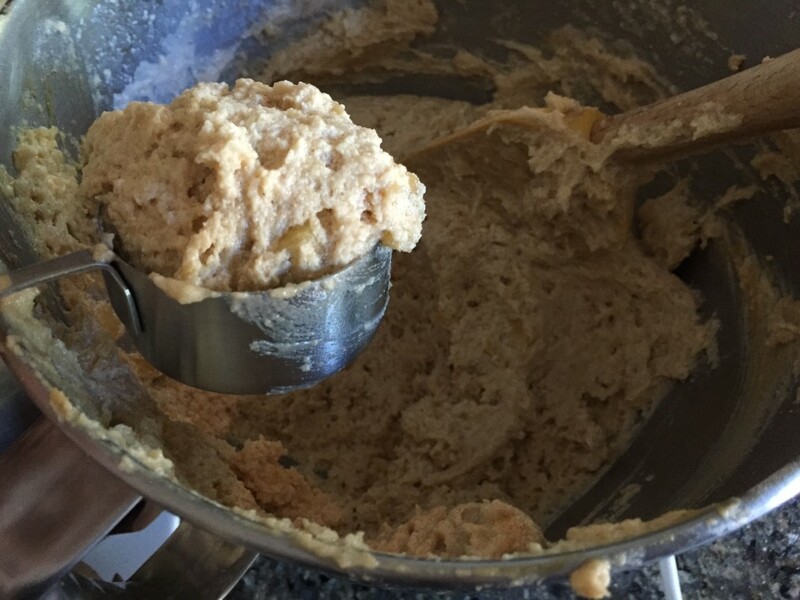 Having the smell of apple spice under my nose had me licking the batter. Better yet, the house smelled amazing. I’m telling you, it’s magic. 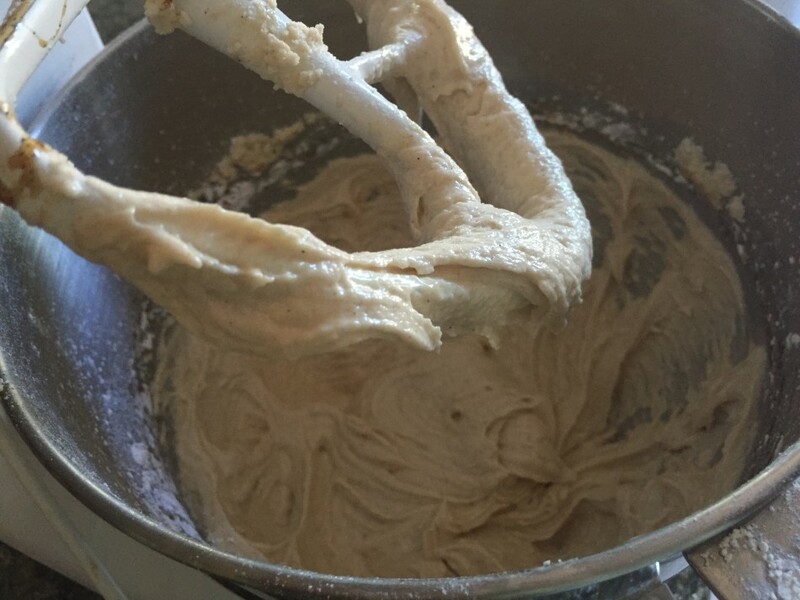 Now a big heaping 1/4 cup of batter into every cupcake liner, mini bundt or decorative cake pan, or both. Baked and gently separated from the pan (with a dull knife). I wanted to show you how a couple of cupcakes sunk in a little. 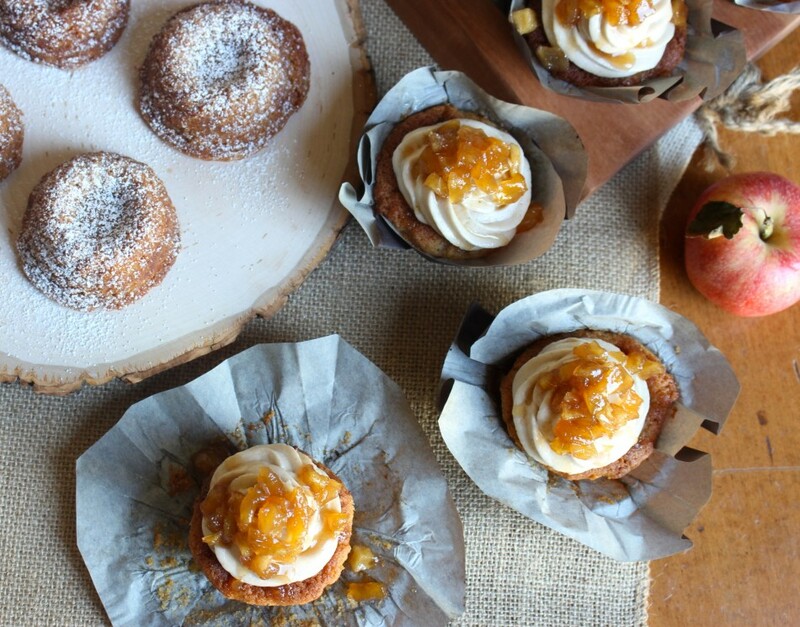 No worries if that happens, these are egg free after all – frosting will hide that. Also, the baked batter splotches on the cupcake liners (these are called tulip liners I found on Amazon and fit a cupcake sized pan) come off easily with a light push of a finger. The little teacakes did not sink and came out beautifully. In case you were wondering, I use ceramic non-stick PFOA, lead, and cadmium free baking pans that I bought on Amazon. Love Amazon! Kinda look like cannelles, don’t they? I made a dozen as simple teacake (sprinkled later with powdered sugar) to send as school snack (wish I had this in my lunchbox), less messy than a cupcake. I did keep a few cupcakes for dessert tonight, but the rest are coming with me to a parent volunteer meeting at Ely’s school. it looks like this. 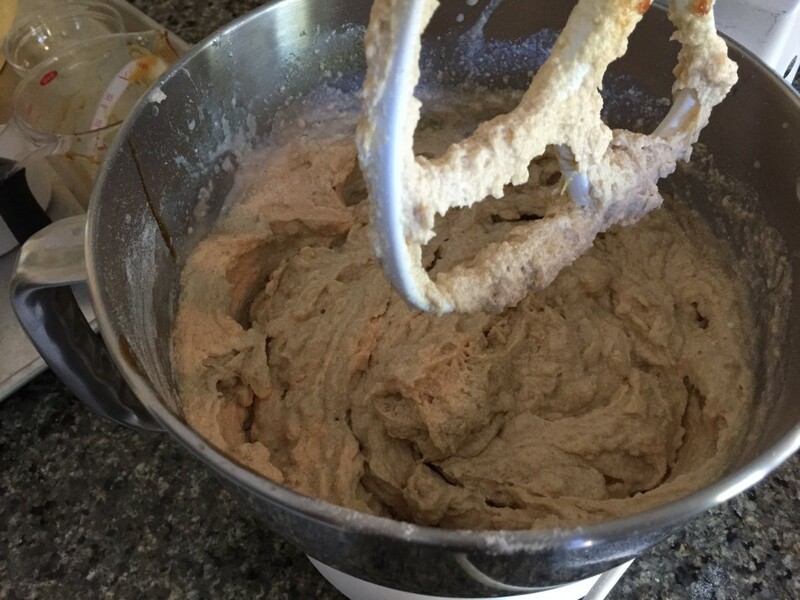 Really break down the “buttery” spread to have the creamiest, silkiest frosting ever! 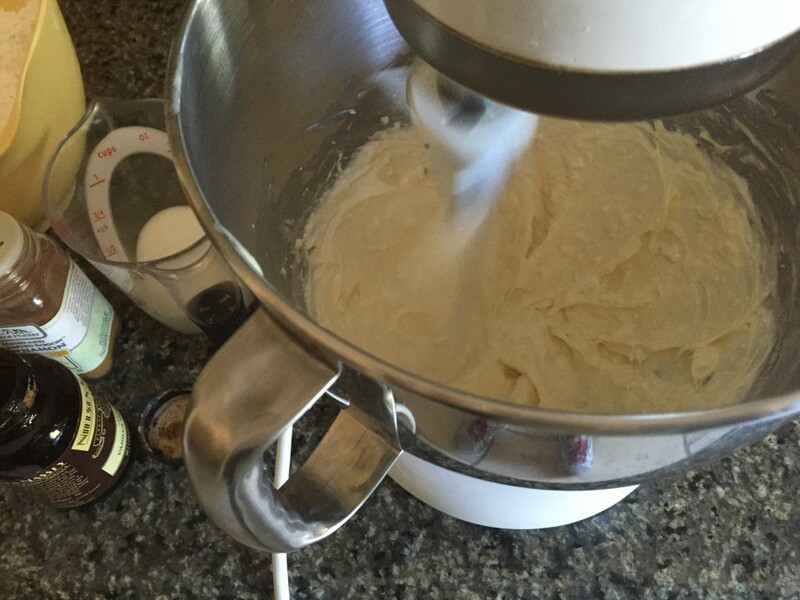 with just a little coconut milk, it turns into the best non-dairy buttercream frosting. Promise. Do you see the specks of vanilla? Wait until you taste this. I almost licked the paddle. Almost. 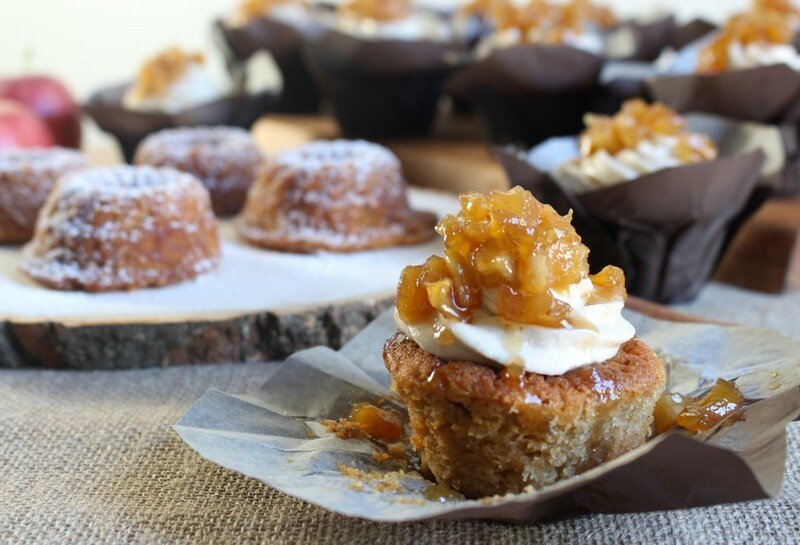 Transfer into a piping bag with an open star tip and pipe cakes. Here’s a (super) close up. 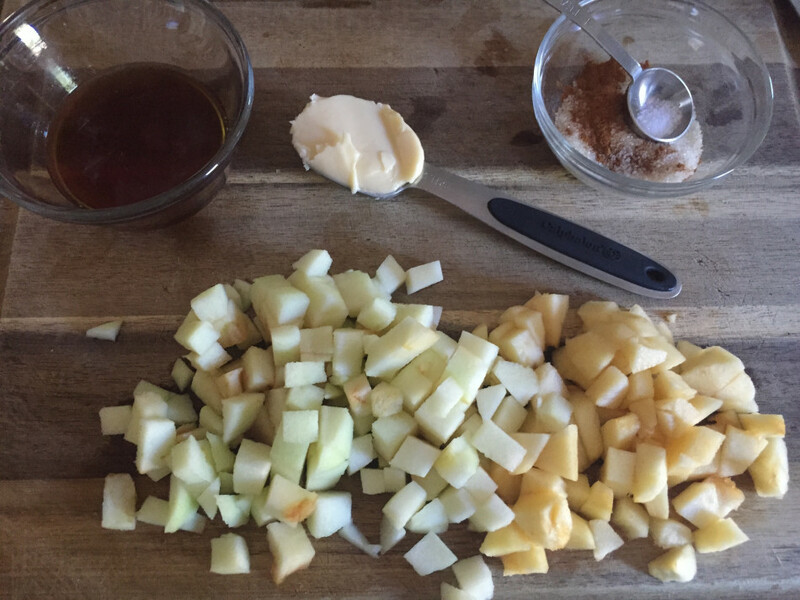 While the frosted cupcakes are chilling in the fridge, let’s make some caramelized apple to top them off. Peel and dice some apple. Melt non-dairy “butter” and spiced sugar. Then maple, apples, and calvados. Cook down. Let it cool completely before garnishing cupcakes. Note: This is quite sweet, like straight up pie filling so add a teaspoon of lemon juice if you want to tone down the sweetness but I can’t imagine you would. Who doesn’t love pie filling? 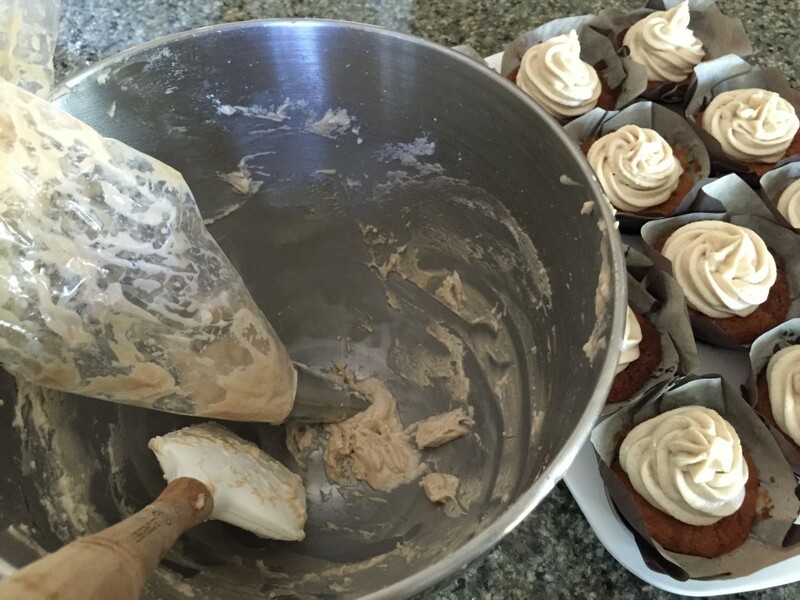 A small spoon on each and the most delicious apple spice cupcakes are done! 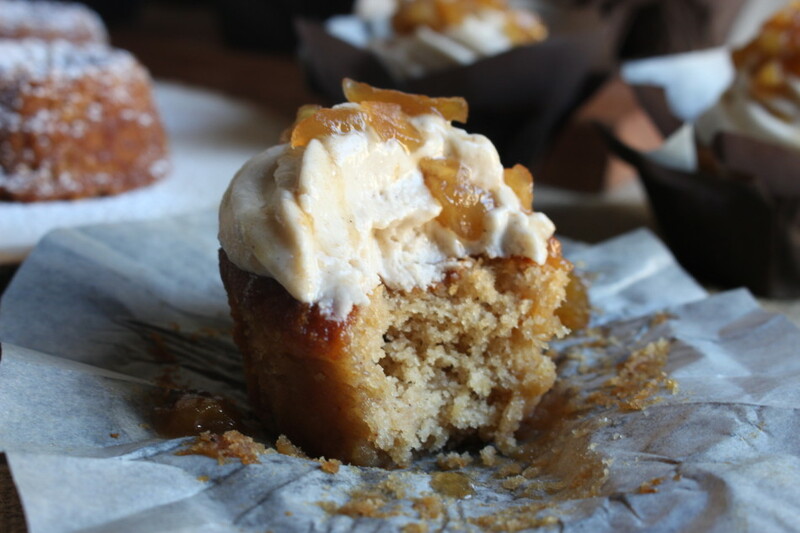 This recipe can be made two ways - as a cupcake or teacakes (omitting the frosting and caramelized apples) or both depending on how sweet you like your dessert. 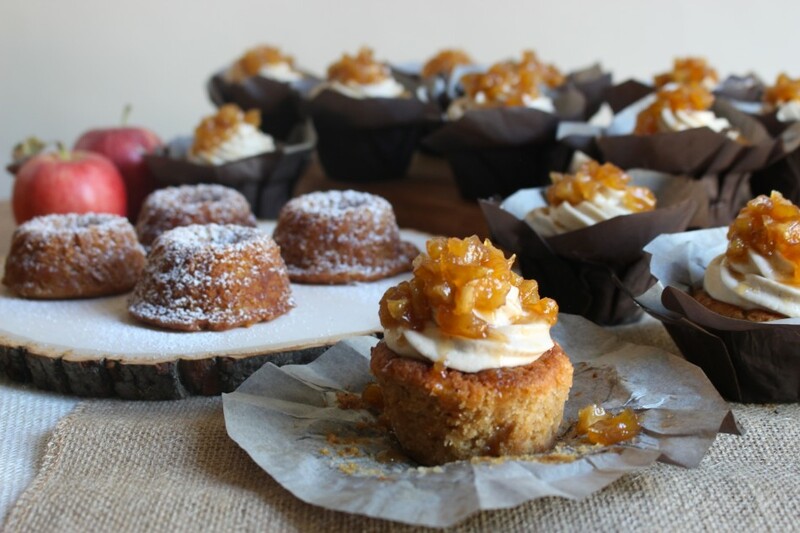 Apple spice cake with a bit of apple pie flavor fused together into a cupcake with a cinnamon vanilla buttercream topped with maple syrup caramelized apples or teacakes with the same apple spice moist cake without the toppings. 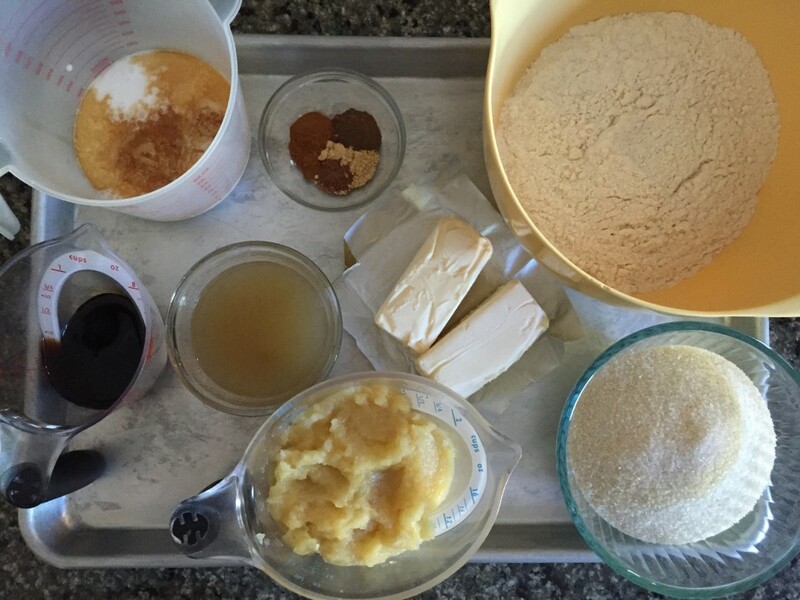 The cakes freeze well (without frosting) in a tightly sealed container up to 2 months. Note: This will make enough for 12 cupcakes only. Recipe doubles or triples well. Note: This will make enough for 12 cupcakes, with a teaspoon-full on each cupcake. 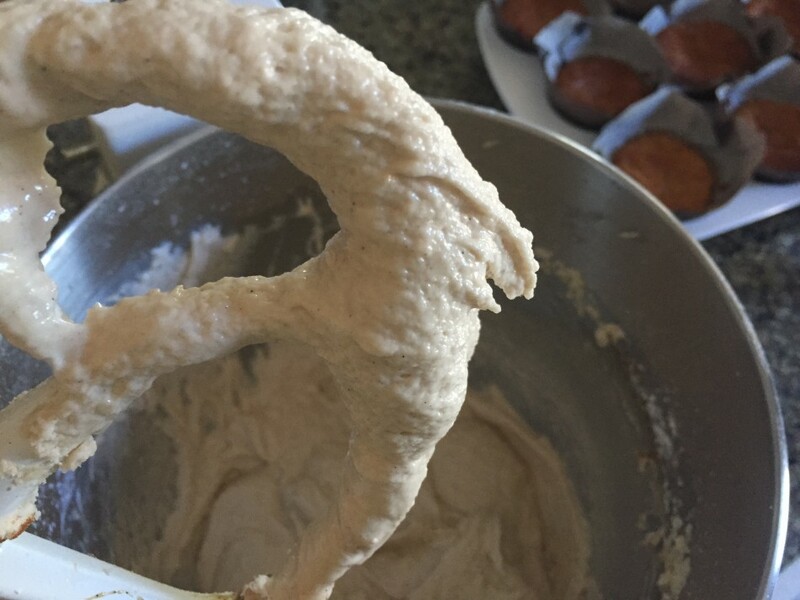 Measure flours and combine with all the spices, baking powder, baking soda, and kosher salt in a medium bowl. In a small bowl, combine canned chickpea liquid and agar agar. Set aside. 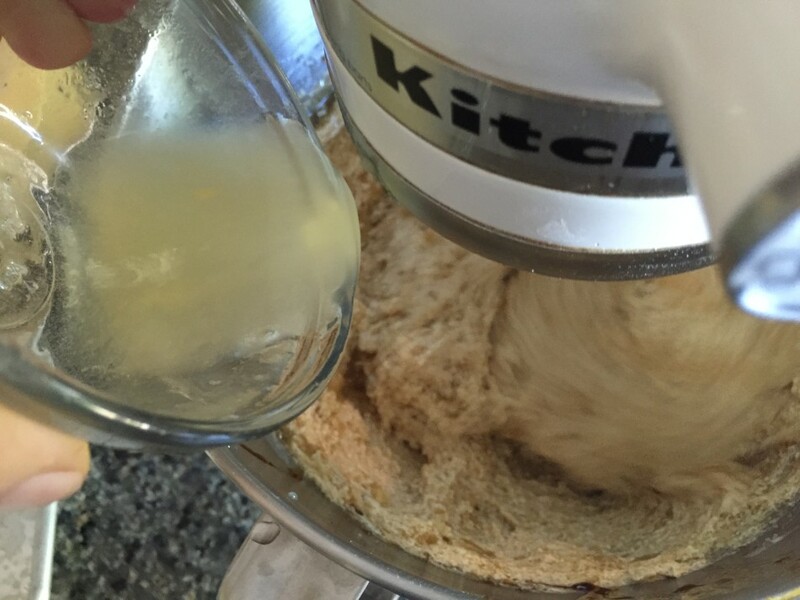 *It will not thicken up, but more as a xanthan gum substitute to help bind the flours. 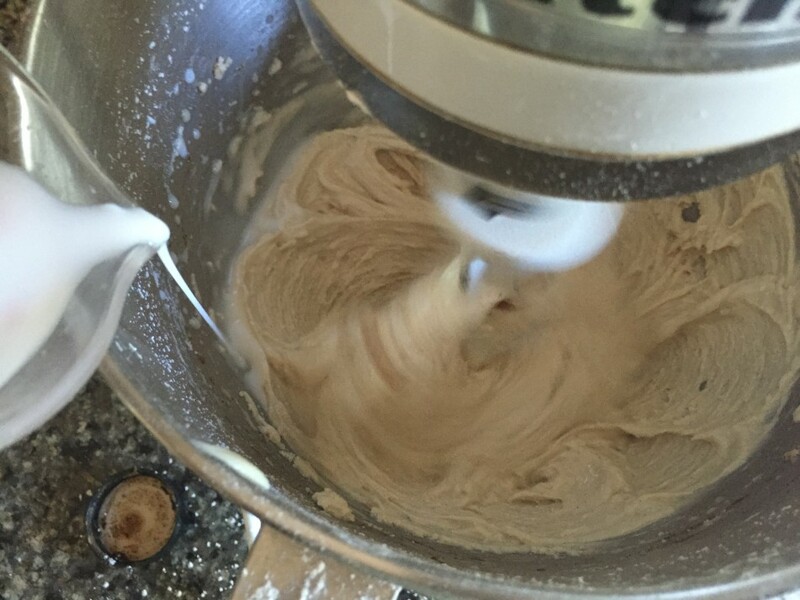 * In a stand mixer set on medium speed, cream the butter and sugar for 2-3 minutes until well blended. 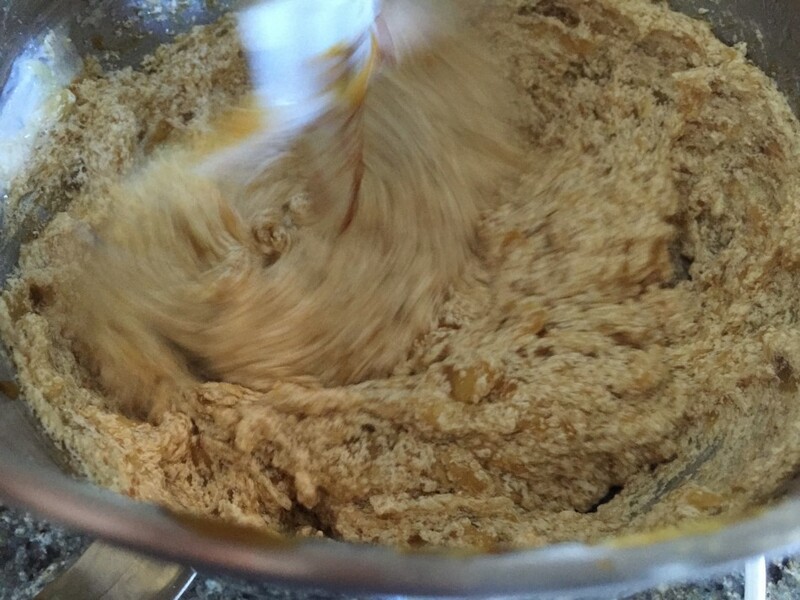 Add coconut nectar, then applesauce until just combined. Add canned chickpea liquid. 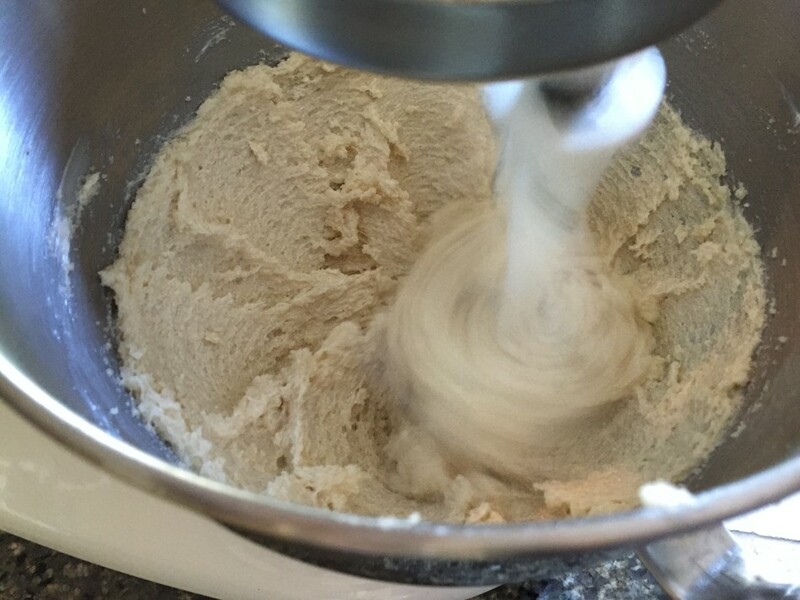 Reduce to medium-low and add the flour blend, continue to mix until just combined. Do not over mix otherwise it will incorporate too much air and create sunken cupcakes. It will look light and airy, which is what we want for a light, moist cake. Bake for 30-35 minutes, or until golden brown and a toothpick comes out clean. 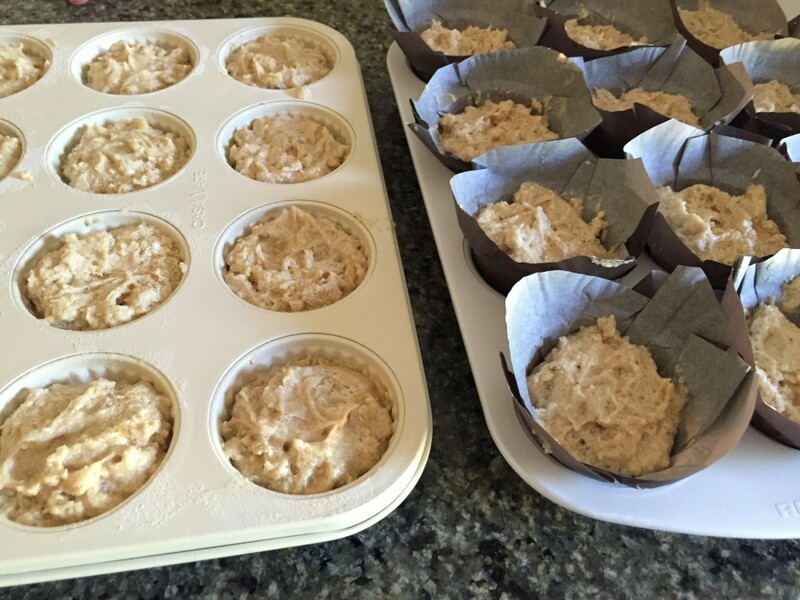 For the cupcakes: Let it cool for 15 minutes before transferring onto a cooling rack. Serve immediately. Will stay refrigerated for up to 4 days uncovered. Do not leave out at room temperature over 3 hours in hot climate weather as it will soften up too much to hold shape. 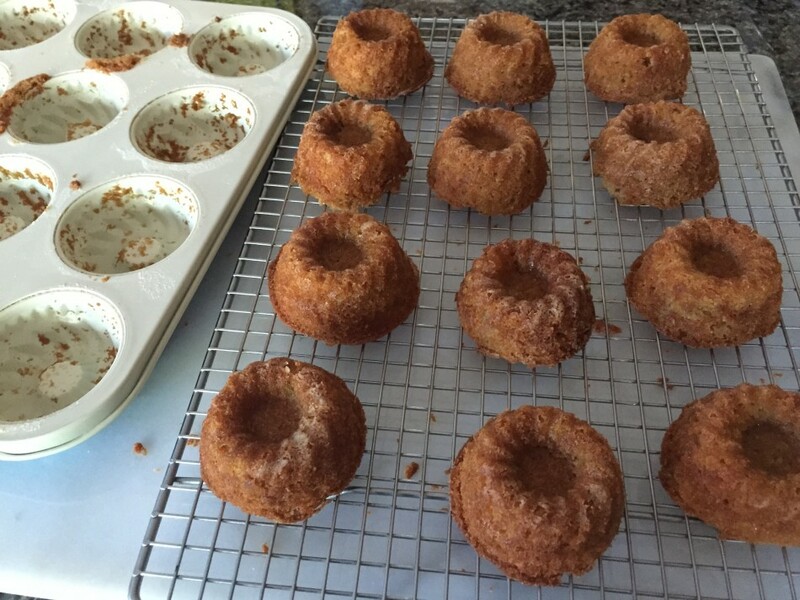 For the teacakes: Let it cool 20 minutes, then cut around the mini bundt style cake edges (to dislodge from the pan) with a dull knife. Invert onto a cooling rack. Sift powdered sugar on top once completely cooled. Store at room temperature for 2 days or lightly cover and refrigerate for up to 4 days. Cream the “butter” for 2 minutes on medium speed then increase to high speed for another 3-4 minutes until it looks as pictured below, then again reduce down to medium speed and add vanilla bean paste, powdered sugar, cinnamon and coconut milk. 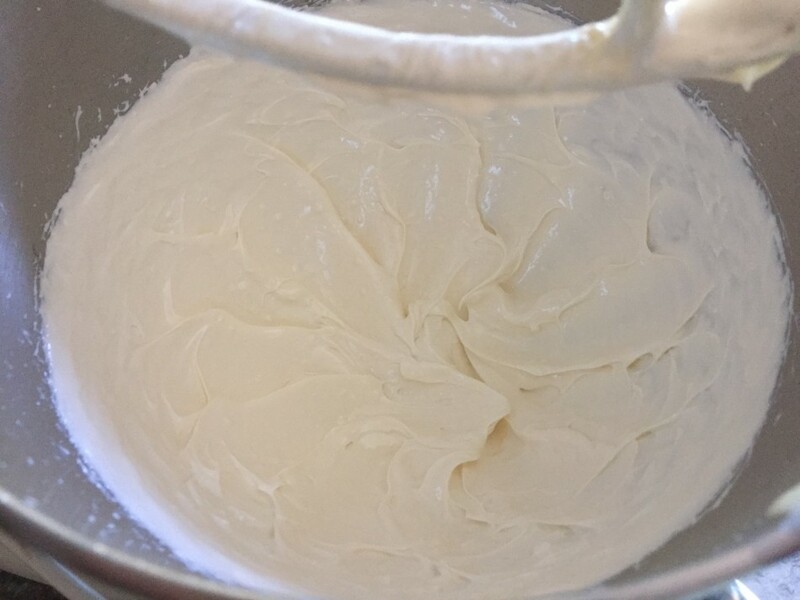 It will appear less thick than standard buttercream, which is normal. 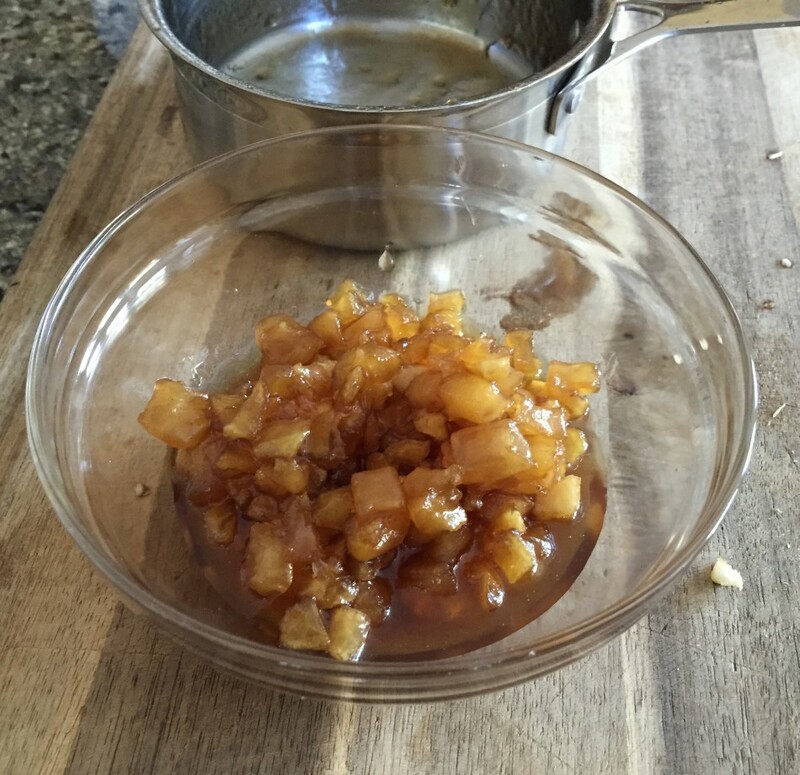 Refrigerate for at least an hour before transferring into a pastry bag set with an open star tip (I used a large one) then pipe and refrigerate while making the caramelized apple topping. 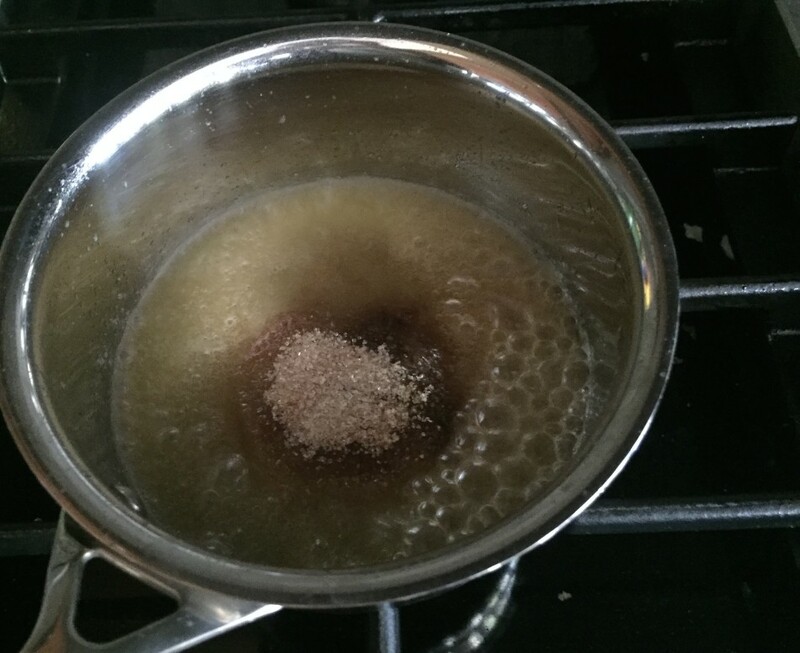 In a small (4 cup) saucepan set on medium heat, melt earth balance with cane sugar. 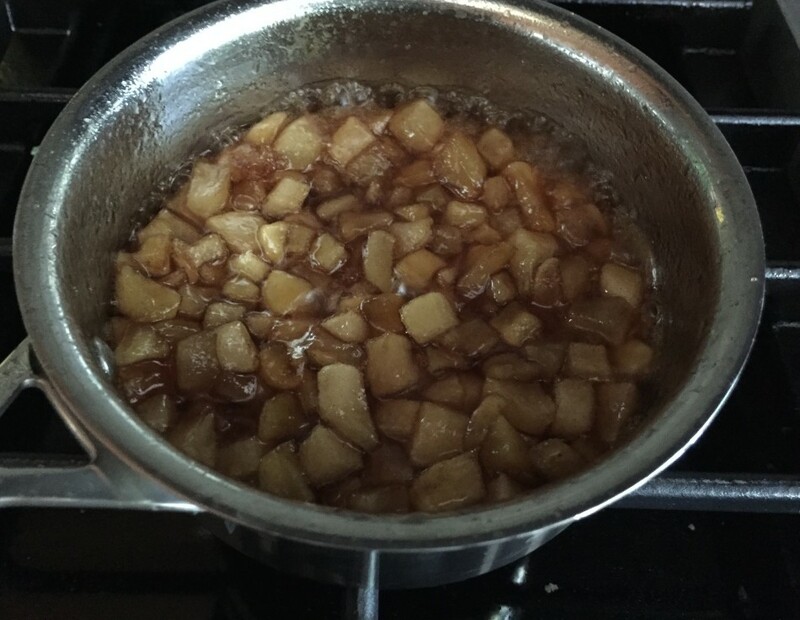 When melted, add diced apples and toss to combine well. Add maple syrup, cinnamon, kosher salt and a splash of calvados. 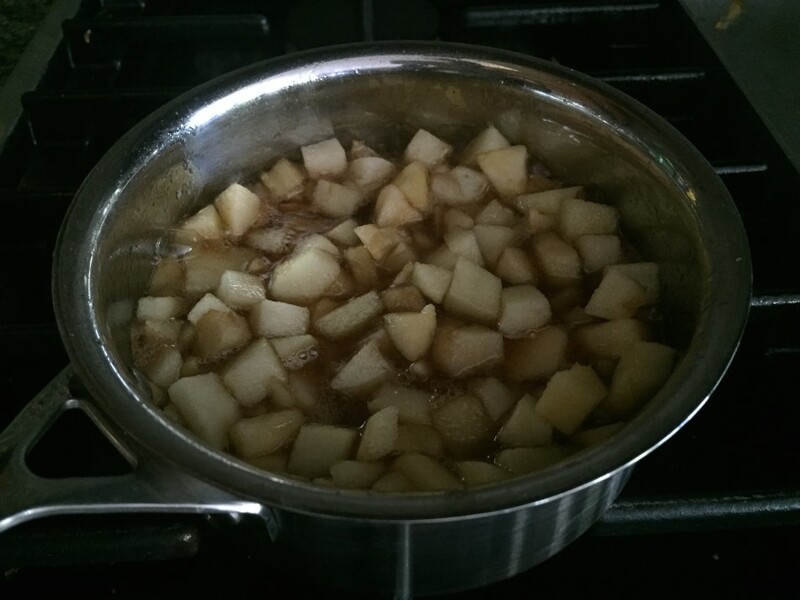 Stir once then let cook for 20 minutes, or until it has reduced a little more than half and the apples are very soft. There should be a few tablespoons of liquid remaining. *If not add more maple syrup and cook for another 3 minutes or so. I measured out the flours so that the results will be consistent every time. 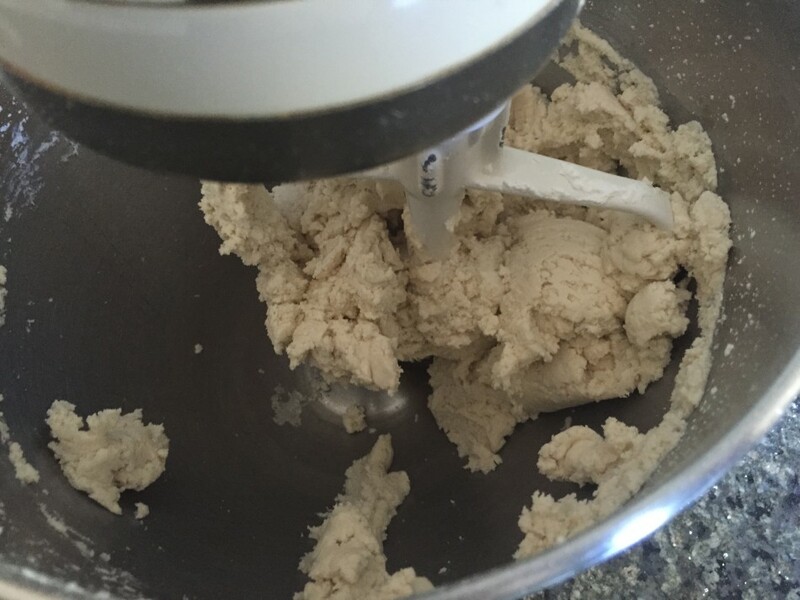 Baking with egg free substitutes can sometimes create crumbly cakes that fall apart if the flour weight is not correct (or the canned chickpea liquid) or the ratio of protein to starches is off. If you do not have a scale yet I encourage you to get one if you plan on baking more often. 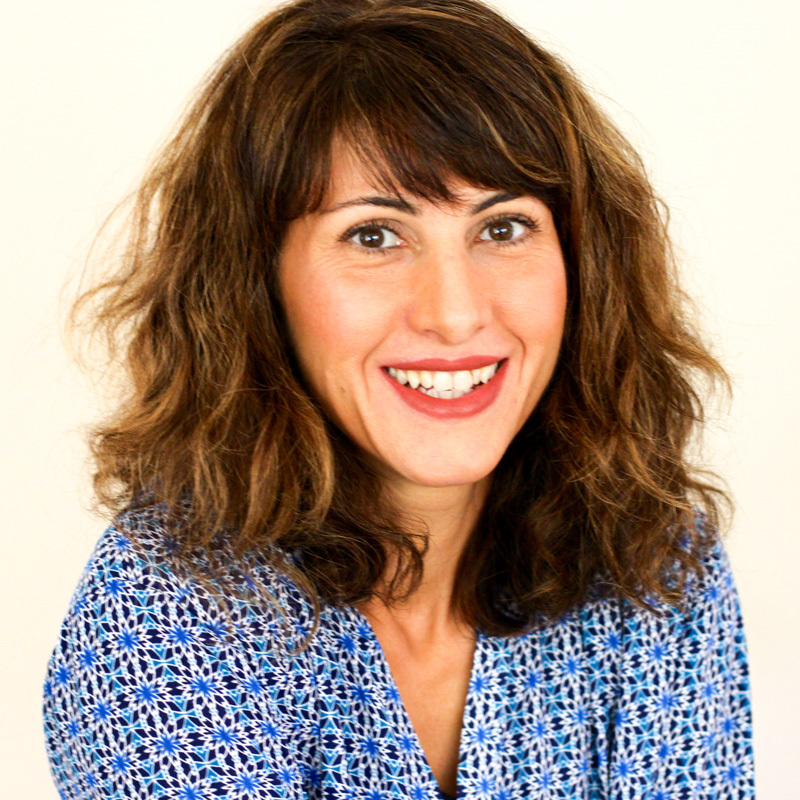 They are relatively inexpensive and sold online or home accessories shops like Bed Bath Beyond. My homemade applesauce is very chunky (will post the recipe soon). 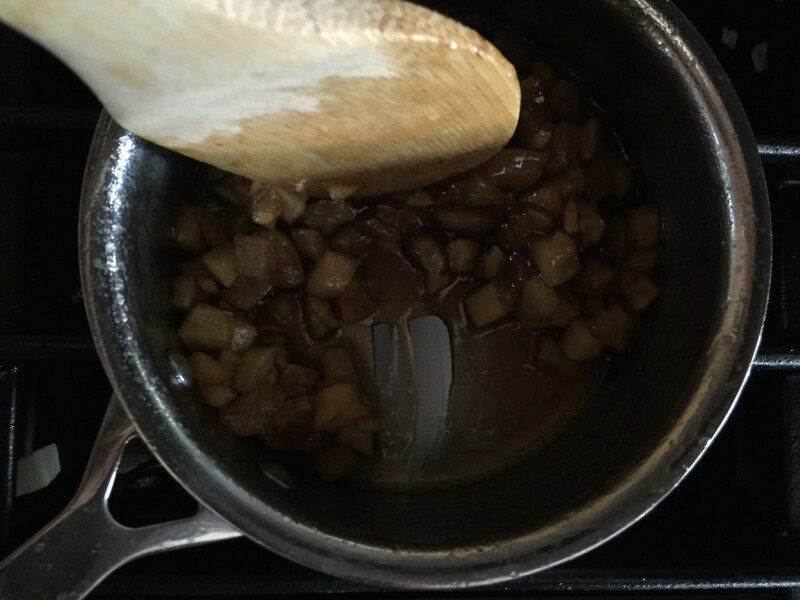 When using store-bought, look for a chunky style applesauce and drain any remaining liquid. You can leave the calvados out if you like, but it really brings out that “apple pie” flavor and the alcohol burns off so it’s safe for children to eat. These also freeze well in a freezer safe container (cupcake with frosting on top) for up to a month. Thaw in the refrigerator. 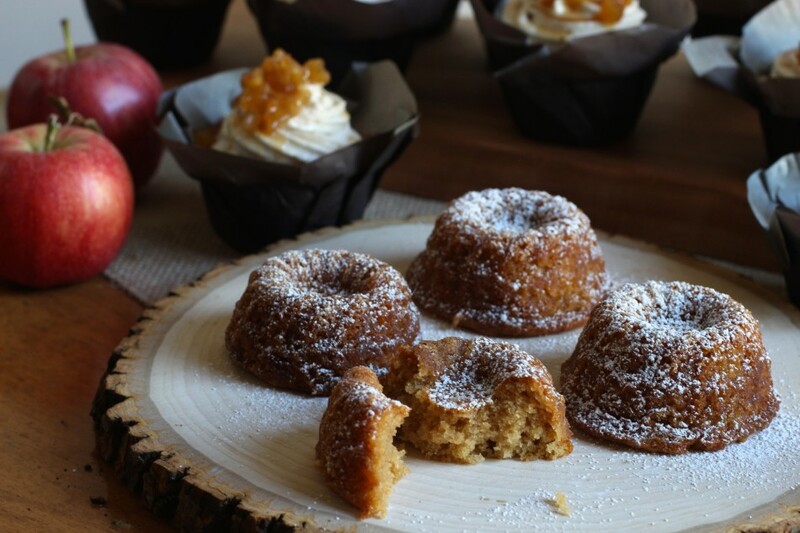 Caramelized apples also freeze well in a separate container, then leave out at room temperature to thaw completely before garnishing cupcakes. Teacakes also freeze well without powdered sugar, if needed. We ate half a dozen in 10 minutes so I didn’t actually freeze these but considering the recipe I am confident it will freeze well, as always in a freezer safe container and a good 2-ply of shrink wrap to ensure none of that frost condensation comes near them. I will be trying this recipe as a large bundt cake this season with a cinnamon spice confectioner glaze and will update the recipe if all goes well, or not. I am willing to give any calorie counting for those cupcakes! Need this hell of a cupcake in my life! You had me laughing hysterical with "Martha? Where are you? These are gluten, dairy...! As always I enjoy reading your posts and the recipes!! Happy Friday to you too Jessica! Ha! Glad to hear you got a laugh out of that and thank you for the kind words, much love. I wasn't sure whether it was too crass or not but wrote it anyway since the feeling is true. Allergen free CAN be good despite what anyone says! I meant give up any calorie counting! I have always wanted to go apple picking, no chance of that living in Florida haha! Georgeous photos; both look so light and airy. Will definitely be making both soon! Thanks Nicole! Maybe one day, let's keep on dreaming until it does :) Hope you enjoy! Martha would be proud! Have never tried aquafaba before. From the looks of that bite I will have to save my canned liquid from now on. Great recipe! Ha! I don't know about that but thank you for the kind words! Yes, you must try this, it binds the cake beautifully. I hope you get to try them, they were a hit around here! Hope to post the recipe soon, store bought chunky sauce will work well too. Should the chickpea liquid be room temperature or chilled? It doesn't say. Thanks in advance! I have been using chickpea liquid as an egg substitute for sometime now and find it works better than egg replacer. 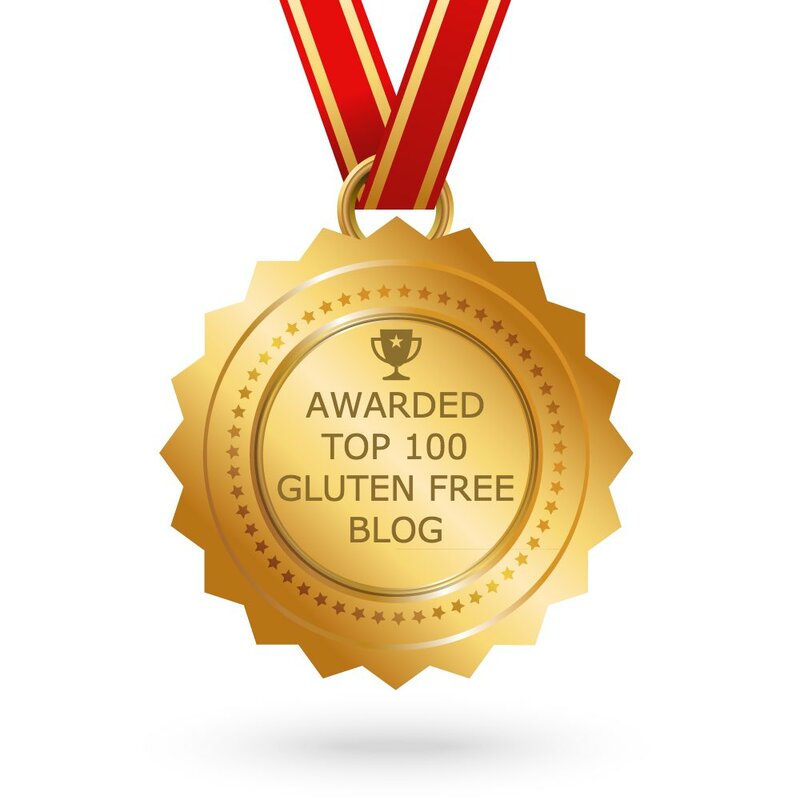 My egg free and celiac husband will love this. We both love apple pie but I'm too lazy and afraid of making pie crust. Can I turn this into an 8 inch cake? It's new to me but I'm liking the results thus far. I haven't tried it yet as a cake but don't see why not. Martha Stewart makes hers as a 6-inch 3 layer cake so I would imagine you can get two layers from the batter. I would add 5-10 minutes to the baking time and watch it closely by checking on it after 40 minutes (with a toothpick). Hope that helps and please share how it turns out. Enjoy! :) P.S. - Please check out my apple pie post, I have pictures posted step-by-step to walk you through the process. It really is easier than you think! Excuse me while I wipe the drool off my chin! Haha! You need some of this in your life! Happy Wednesday! I just finished baking cupcakes and mini bundts and the house smells amazing. 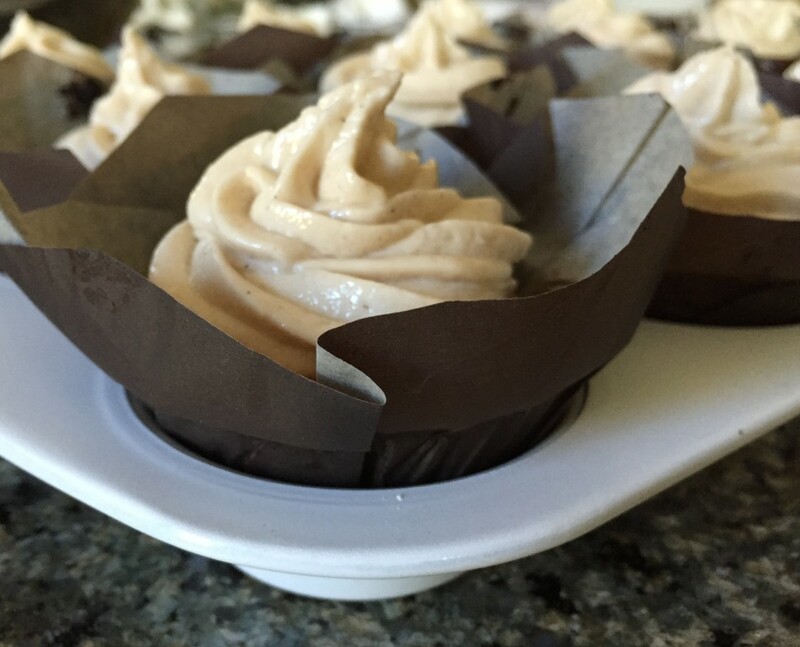 I had to try one before I begin making frosting and just wanted to tell you how moist and full of spice they are! 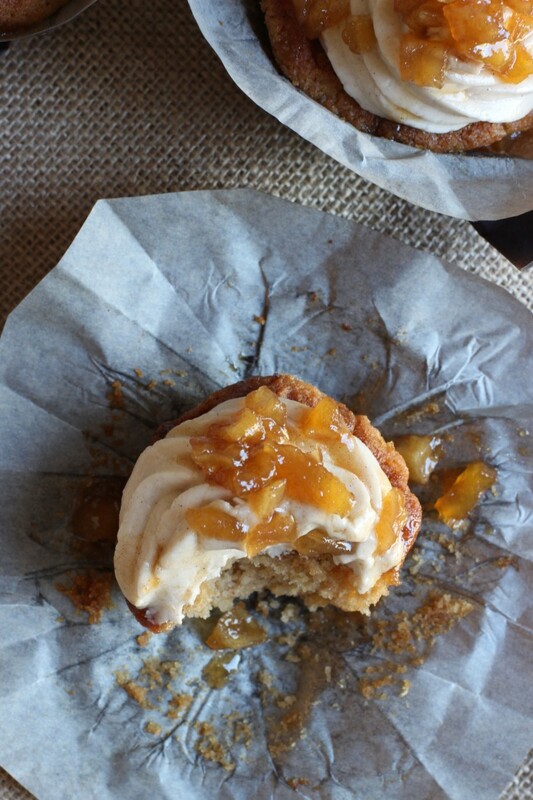 This is the best apple spice cake I ever had! 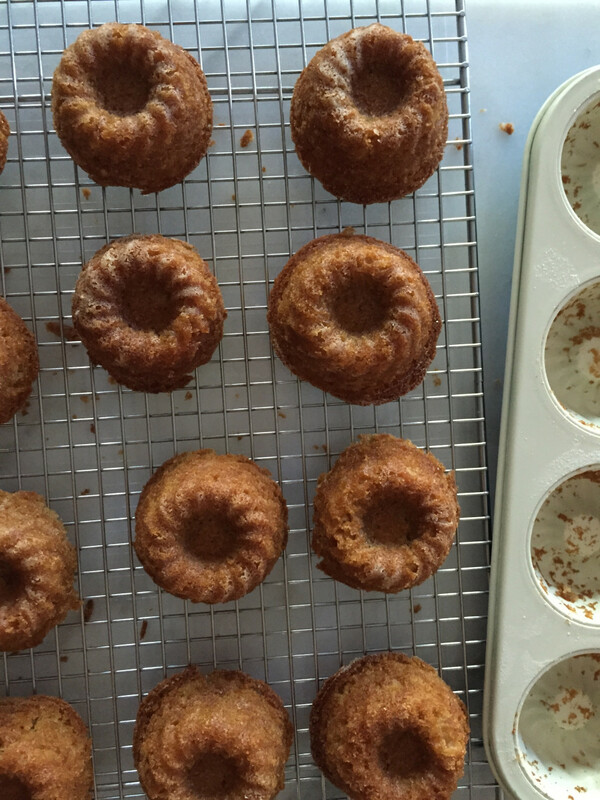 I used chunky applesauce (drained it for 5 min through a fine mesh colander) and used a mini bundt pan. I also bought a small scale so I don't screw up the measurements. I am beyond excited to frost and serve these tonight for my Mom's birthday! I can't wait to see the look on everyones faces! Thanks Simon! Have a great weekend! Jessica, you did it again! 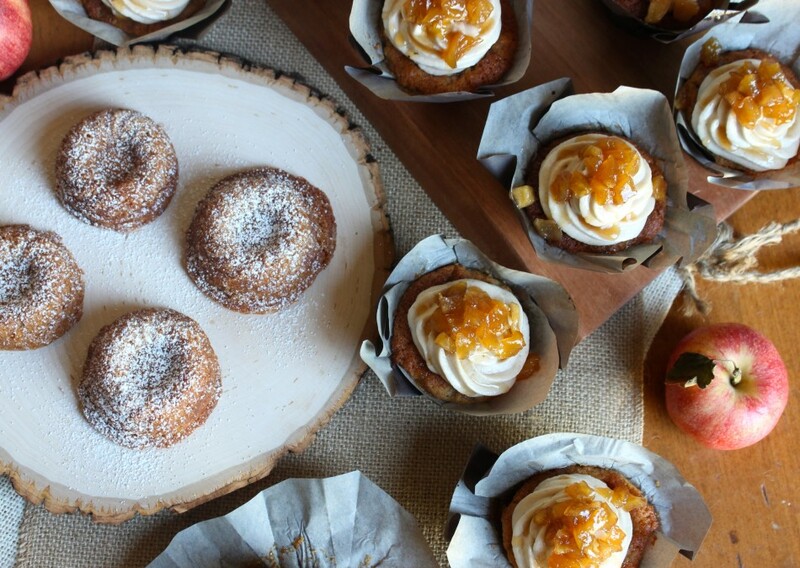 You turned a cupcake into a mouth watering delight. Very creative. AW, Thanks SO much Janet! I'm blushing :) Have a great weekend!